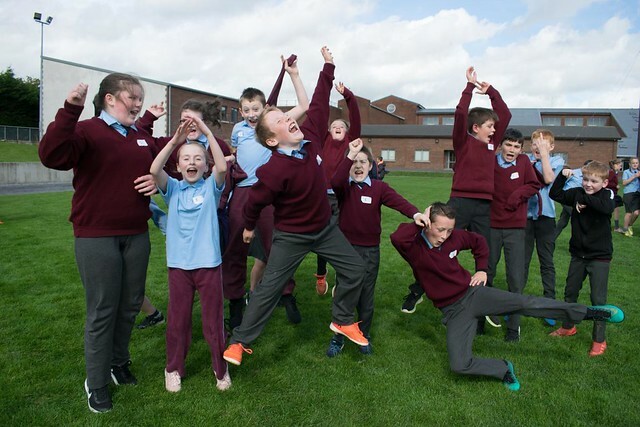 We had a fantastic day in CCS on Tuesday when we welcomed nearly 300 5th and 6th class students from our feeder schools and beyond to experience a day in the the school. On arrival at the school they were brought on a tour of the building and grounds by TY students and then experienced 4 lessons from a range of subjects such as metalwork, home economics, science, french. music , business, religion, woodwork, PE and art. The students were fed at break and lunch and brought back to their primary school at about 2 o'clock, all very excited about the prospect of coming to school in Castlecomer Community. Click on the picture below to view more photos of the day.